Home Food What are “Extra Fancy” apples? I was at the store yesterday looking through the fruit and noticed that a bag of apples had “U.S. Extra Fancy” written on the packaging. Naturally, this made me curious and I googled around to find out what it meant. 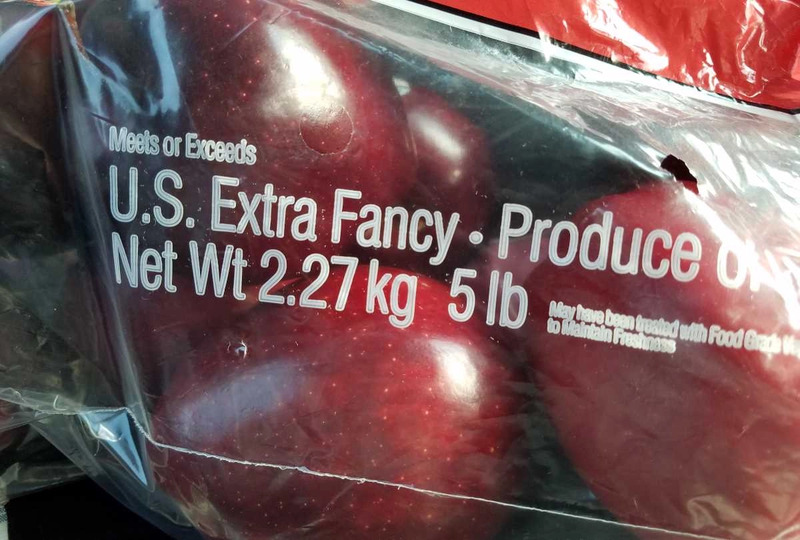 What I found out was that “Extra Fancy” is a USDA grade for classifying apples. U.S. Extra Fancy Grade: “Extra Fancy” apples are perfect in color, shape, and condition. U.S Fancy Grade: “Fancy” apples have less color than “Extra Fancy” apples and can be slightly misshapen. U.S. No. 1 Grade: “No. 1” apples meet the requirements of “Fancy” except that they have even less color and possibly even russeting. Invisible water core is not scored at this grade. U.S. No. 1 Hail Grade: “No. 1 Hail” apples meet the requirements of “No. 1” apples except that hail damage marks and blemishes exist on the skin. U.S. Utility Grade: “Utility” apples can have the appearance of “Fancy” or “Extra Fancy” but with slightly more blemishes and bruises. Combination Grade: Specific combinations of apples can be packed together to form varying combination grades of apples. Basically, the USDA grade mainly has to do with the appearance of the apple and not the taste. If you don’t care about aesthetics, save some money and look for utility apples. Apples are part of the rose family, just like plums and pears. It takes about two pounds of apples to make one nine-inch apple pie. Apples ripen about ten times faster if you leave them out as opposed to refrigerating them. The wax applied to apples after they are harvested is for keeping bacteria out and slowing down the ripening process, not to make them look shinier at the store. It takes about 35 apples to make one gallon of apple cider. 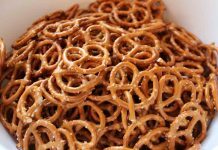 Previous answerWhy are pretzels brown? 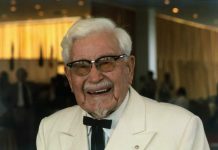 Next answerWas Colonel Sanders a real colonel? 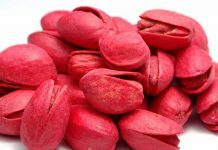 Why did pistachios used to be dyed red (or pink)?